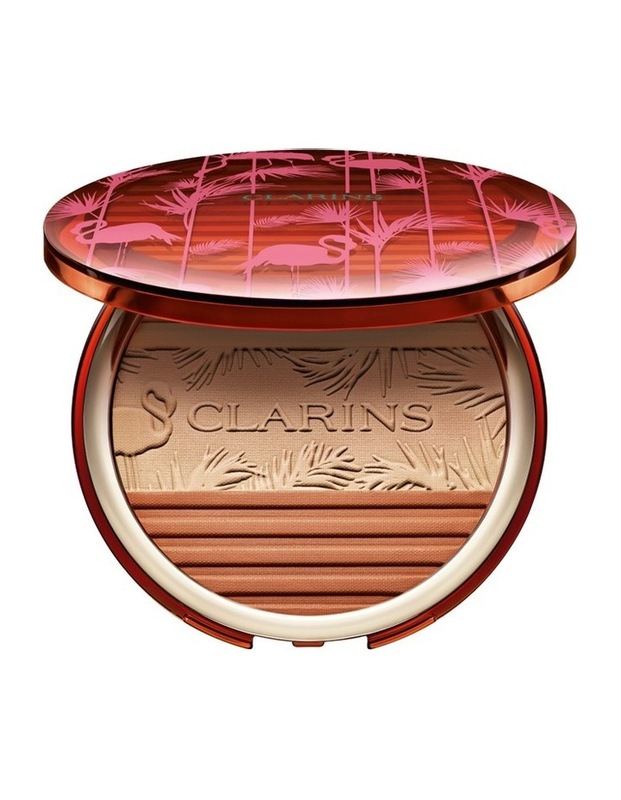 This bronzing powder illuminates the complexion, providing a perfectly even glow. Its caramel-colored maxi case decorated with pink flamingos and vegetation contains a gradient of 3 matte shades to suit all skin tones. The different shades are easy to use and arranged in stripes, allowing you to tailor the finish. Clarins Anti-Pollution Complex.